Water is one of the most destructive forces of nature. Watch what it did to these cars. This happened in New Jersey. 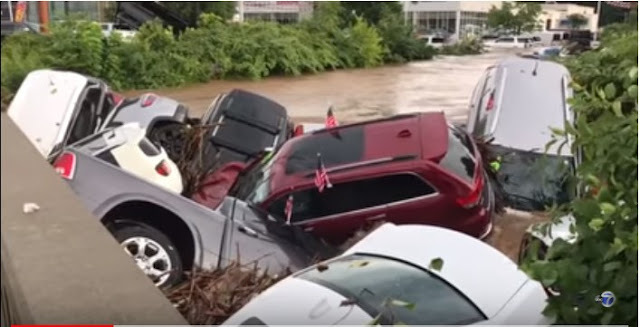 Almost a dozen cars were sent floating down a river in Little Falls, New Jersey after a dealership was flooded Saturday evening. You can see some of the cars with their sticker prices as they collide on each other and float down the Peckman River.